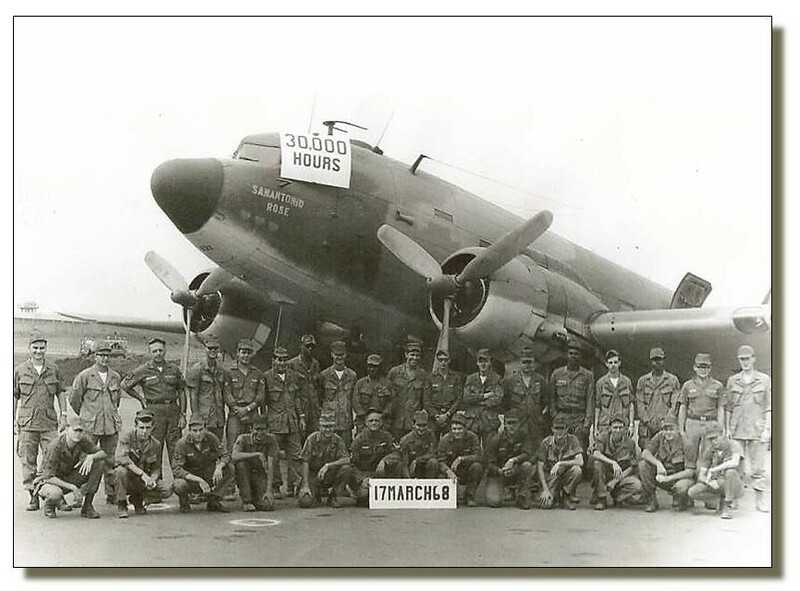 On St. Patty's Day, 1968, the 362nd TEWS notched 30,000 accident-free flying hours—quite a feat considering conditions in and around Pleiku. (Also, this was shortly after the "Tet" offensive.) According to the squadron history, the 25,000 hour mark had been reached on 23 January. Unfortunately, resolution is too low to read nametags but best guess for the aircraft is EC-47N, serial number 43-15133.